Looking for a mother son dance song? Here are 20 suggestions that will suit many tastes of your mom. There are more suggestions out on the internet, but a lot of them are either super cheesy or inappropriate. Note: it can feel a little long to be dancing with just you and your mom on the dance floor for over 4min. For my customers, I try to find a spot somewhere between the 2:45 – 4min mark where I can nicely fade out the song. You may want to ask your DJ to do the same. 1. The Beatles – Across the Universe (naked version) – If your mom is a Beatles fan, she’ll love this striped down version of Across the Universe. 2. The Byrds – Turn! Turn! Turn! (To Everything There Is A Season) – Not at all cheesy and not too slow. 6. 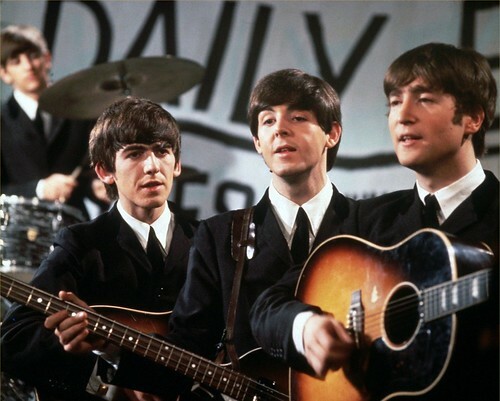 The Beatles – In My Life – This Beatles classic is super sweet, but a little sentimental. Watch out for tears when this song plays. 11. Van Morrison – Sweet Thing Moms love Van Morrison. 13. Johnny Cash – You Are My Sunshine – A very unconventional slow dance song. Perfect if your for moms and grooms who like to be off the beaten path. 16. Ray LaMontagne – You Are The Best Thing – A more current, yet appropriate song. 17. Rascal Flatts – My Wish This one is a bit cheesy and you might not like country music, but moms love it. 18. Song for Mama – Boyz II Men – If you and your mom love R&B from the late 90s then this will be perfect for you. 19. Lynard Skynard – Simple Man – If your mom loves classic rock then this might be the perfect song for your mother groom dance. 20. Louis Armstrong – What a Wonderful World – I personally think that everyone has heard enough of this song but it’s popular for a reason. Is your bride to be still looking for a song to use to dance with her dad to. Have her check out these 7 unique father daughter wedding dance songs.